Undergraduate Student Body President Mikey Geragos and Black Student Assembly Director Lamar Gary issued statements Friday in response to Wednesday night’s shooting. A man allegedly shot Geno Hall, a former Crenshaw High School football star, and three other victims in a confrontation that occurred outside of the Ronald Tutor Campus Center. Police also detained another male suspect on Wednesday, though they have not released his identity. The suspects and victims were in line for the Halloween party “Freak or Greek,” which was being held in the ballroom, according to eyewitness accounts. At least 500 students from USC and other colleges attended the party, which was heavily promoted by the event organizer LA Hype across social media. Scheduling papers for the event were filed under the Black Student Assembly’s name. Geragos expressed his condolences to the four victims who were injured in the shooting that occurred outside the “Freak or Greek” party. “It is truly disturbing that the shooting happened during one of our assembly’s campus events, but we are working with our University leadership in taking immediate action to develop additional measures for campus safety and security,” Geragos said. Gary said he hopes the incident will not reflect poorly on BSA. How is it that USc and BSA can work with a group like LA Hype who has not made any public statement or taken any responsibility for their event? Is this the kind of organization that USC and BSA are proud to collaborate with? I keep hearing about this LA Hype but I do not see any statements made by their people about this incident. That is just great. advertise your Halloween party – Sh*t all over our campus with your ghetto thug nonsense and then walk away without even a peep and taking any personal responsibility. The black community berates whitey oppression but it is this precise sort of character flaw and lack of taking personal responsibility hat is more damaging to the black community then anything whitey can do. How is it USC and BSA are not demanding to call out LA Hype to show some contrition for this event? Why is it so hard for this org to stand up like they have a pair and say they are sorry. Hey BSA – we are waiting to see you guys follow through with LA Hype and wait for you to call them out if they walk away silently from this debacle! Also, I’m disheartened to hear the opinions that some have shared about people from the community. It’s dripping with prejudices against minorities and people of lower socioeconomic statuses. Do you really think that all the “locals” from the neighborhood are gang-bangers and trouble makers? If so, maybe you shouldn’t have come to USC. USC is a school that prides itself on being open and welcoming to the surrounding community – not shutting them out like criminals and heathens. Just because the neighborhood doesn’t look like the one you grew up in, doen’t mean that the people are bad. They’re normal people just like you and me who are trying to work hard, make a living, improve their lives, and make do with the hand they were dealt. Every community has its bad apples, but don’t judge an entire community based on the actions of a few. I do. Maybe I shouldn’t have. They’re not. As a fellow student (I’m assuming), you wouldn’t be missed. It’s ok—I think I’ll be alright. And I’m fairly certain I’d be missed by the people I care about. Rest assured, I’m getting out of academia as fast as possible. There are much more interesting, compelling, inspiring, and lucrative things to do with one’s life. You guys obviously don’t know that parties are held in the Campus Center at night ALL THE TIME and have been since the campus center opened. A majority of the time, the events are open to non-USC students with the rule that they show a college ID at the door, extra security (i.e. DPS) is hired for the night to ensure that nothing goes down, the party is over by 2am, no alcohol is served, there are NO FIGHTS, and NO DRAMA. This is an isolated incident and one that could have happened at any time and any place. The whole reason that events are held in the campus center is because: 1. They’re held by student organizations so they can (and your org can too); 2. It’s a safer alternative to having a house party around campus or on the Row. Or do you guys forget that students are transported from the Row in ambulances what seems like every weekend because of alcohol poisoning. BSA followed the guidelines (although LA/SC Hype should’ve been more responsible with their advertisement and I agree that they shouldn’t be allowed to co-host any more USC events). 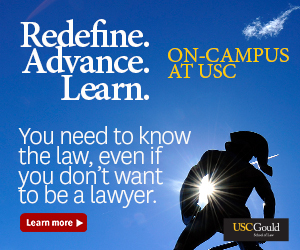 You can’t ban non-USC student from any campus events. That’s impossible and unfair. What about leadership and service events on campus? What about USC tailgates? etc. You guys are being completely unrealistic. ALSO, this event was NOT held by a greek organization. The event might have been called “Freaks, Greeks and Athletes” but it was in NO WAY affiliated with ANY greek organization on campus. BSA is NOT a greek org. they should punish the BSA for not following rules. Inviting locals especially where USC is located is a NO,NO.. potential gang members should not be allowed but certain people just don’t understand it..
Quit being such an apologist. If anyone should be held accountable, it’s them and the group they brought in. They dropped the ball on campus policy. If action isn’t taken, nothing changes. Four people were hit by bullets in the heart of campus, yet the party continued. We can only be thankful that no USC students were hit. This was easily preventable: no non-USC students allowed at on campus events unless identified and specifically approved by the events administration. Did they drop the ball? Were they the ones responsible for not following university policy? There are a lot of issues. Rest assured; we are both on the same side. Let’s target those most responsible, though, not just the people who followed the direction they were given. BSA held the event! The went against campus policy and brought the elements onto campus that caused the situation. BSA needs to be held accountable. Just did a search on “BSA” in the daily trojan directory. None of the academic, professional, or community events have been reported on by the DT. One shooting loosely related to BSA and there are four articles with a BSA tag published within a matter of three days out of the seven articles mentioned since 2009. Someone needs to call FAIR reporting. I COMPLETELY agree. It seems like no one wants to hear about all the great things that BSA has done throughout its history to better the lives of USC students and the surrounding communities. It’s a shame that people seem to spend more time bashing an organization instead of reading into its principles and how they have serviced the student body. BSA needs to be held accountable like every other Greek organization on campus. It should face severe discipline and a complete review from USC. Agreed. From a non-Greek student, I can clearly see that system handles nom-USC situations better.